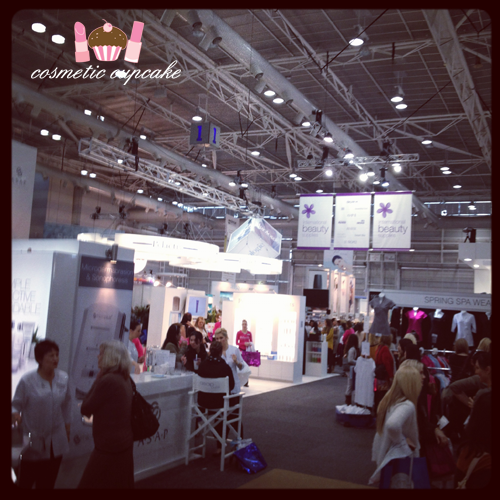 The expo was held at the Exhibition Centre at Darling Harbour and it was massive - 3 huge halls filled with beauty goodness! 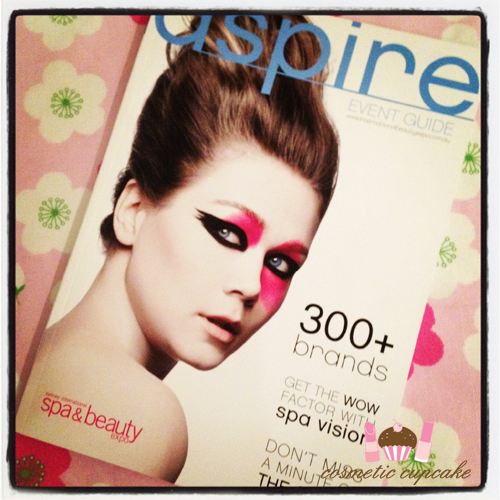 It was so awesome discovering lots of new brands. nails inc. 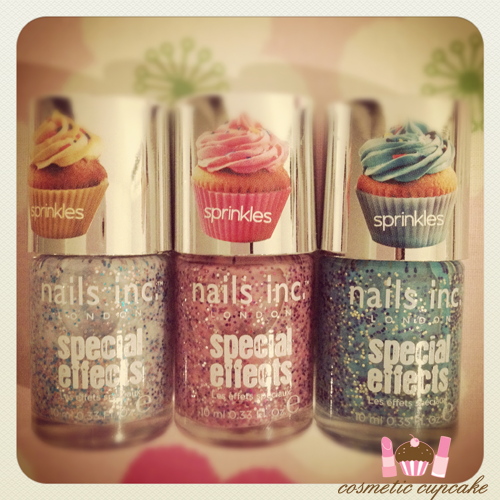 Sprinkles!!! I've been wanting these for sooooooo long and I succumbed. The deal was just too good to pass up! I got sweets way, topping lane and pudding lane. 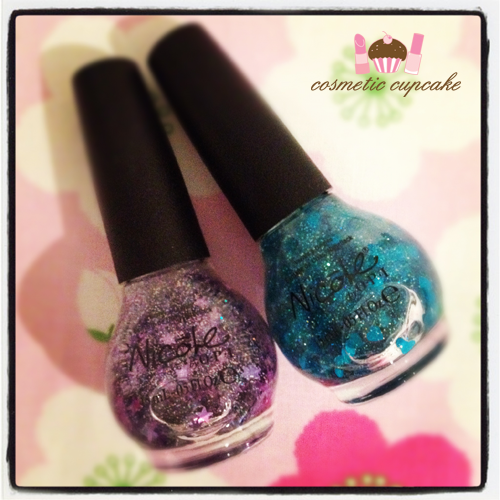 I can never go past glitter so I had to pick up Nicole by OPI Let's Get Star-ted! and Honey-Dew You Love Me?. 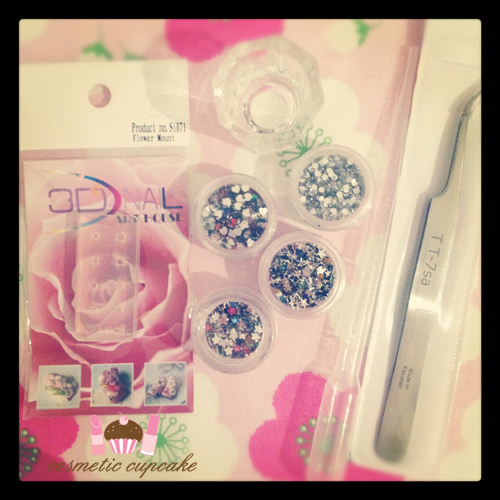 Some nail art supplies! A 3D acrylic mold, dappen dish, dropper, tweezers and different shaped dazzlings. I've wanted a nail polish display for ages and I finally got one! I'm using it to display polishes I need to swatch and it looks great on my desk ;) This one is supposed to hold 24 bottles but because some of the bottles are smaller it holds more. 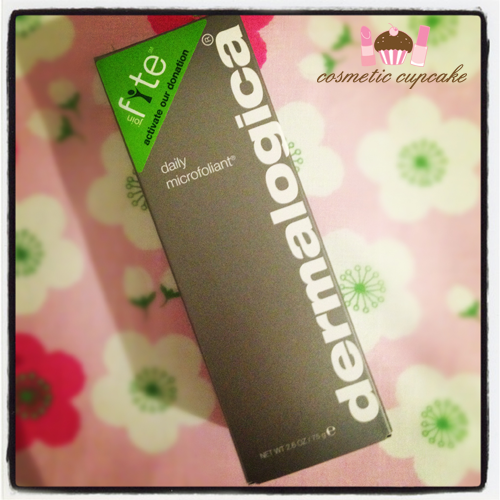 I was hoping Dermalogica would be selling more stuff but alas they only sold a few items. I still managed to pick up one of my HG products the Daily Microfoliant. I love the stuff! It makes my skin as smooth as a baby's bottom LOL. I'm nearing 30 (OMG!) so I'm getting into anti-ageing products. I came across these Cupron wrinkle reducing products and thought I'd give it a try. 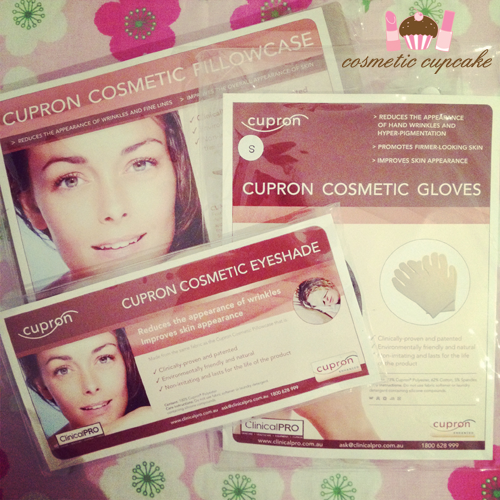 I picked up the Clinical Value pack which contains the Clinical Cosmetic Pillow Case, Eye Shades and Gloves. I hope you've all been well! Posting will continue to be a bit sporadic unfortunately. Thanks for looking as always! I attended the expo as a guest of the PR company. i'm so jelous!! I sooo wanted to go to the expo, i even emailed the big coordinator asking if I could attend even though I don't have a trade certificate but they said no :-( LOL. Lovely choices 'chelle! Do you know where are Nails Inc selling in Australia - online only or in stores? Thanks lovely!! I tried to be good and only got a few things even though I wanted a million more LOL.